A must have for any dress or skirt. Just snip around the lace for a perfect length for you!. 27″ in length. 100% polyester. A must have for any dress or skirt. Just snip around the lace for a perfect length for you! 27″ in length. I am very pleased with my purchase! I am very pleased with my purchase, well done dress slip! 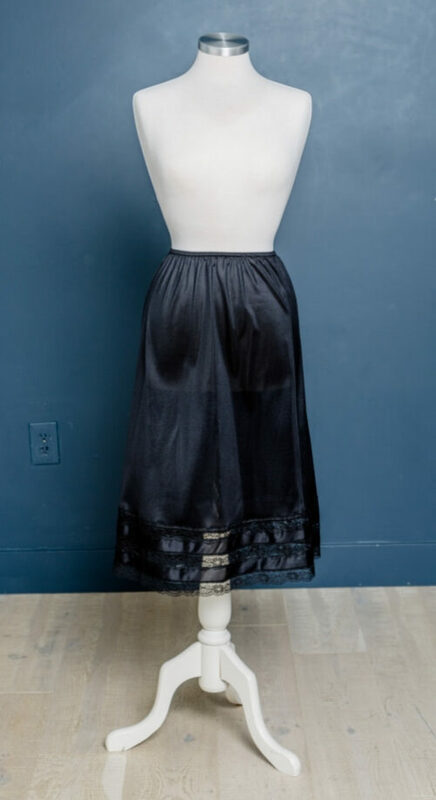 This versatile skirt is made of wrinkle resistant shantung fabric with a perfect weight and drape for a suit. The simple a-line skirt has a finished front waistband with elastic back for ease of fit and comfort. 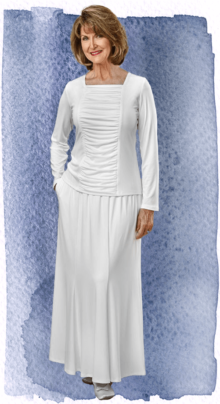 Beautiful, white shantung jacket is trimmed with satin and provides a slightly curved fit. 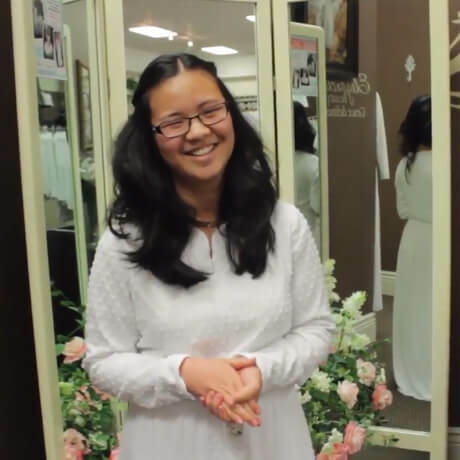 The skirt and jacket can easily be matched with other LDS Temple clothing for a variety of looks. Two pockets 100% Polyester. Washer/dryer safe. Soft, luxurious raised lace places this dress in the simply glorious category. 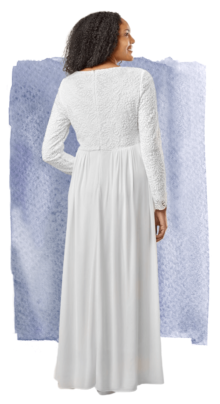 All lace bodice front and back with sweeping skirt of soft doby fabric, fully lined with opaque denier makes this one of the most comfortable and flattering LDS Temple dresses. Careful styling, sizing and the perfect details such as the piping at the empire waist, is the long awaited dress White Elegance customers have been looking forward to ordering. Be sure to view the back of dress with it’s elongated slimming look. Kudos to White Elegance Design Team! FIT HINT: If between sizes, select the smaller size. 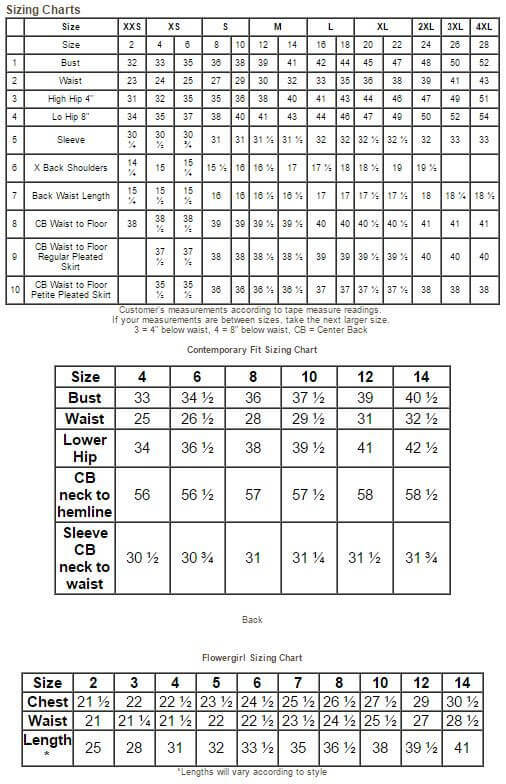 Bust and shoulder measurements are most accurate for determining correct size.